It’s a closed and tightly controlled platform (as I predicted), with Apple acting as gatekeeper in terms of hardware, software, applications and content. Good or bad, as a result the iPad won’t be plagued with many of the usability issues users of a more open and complex platform face (Windows/Mac OS etc.). Unlike desktop OSes, the UI/platform is also designed from the ground up to support touch input. It’s not a computer in the traditional sense but an Internet appliance. People won’t buy the iPad instead of another computer but because it’s not a computer. On one level, the iPad represents very little new from Apple, which is actually the point. It’s no more than a supersized iPod touch or iPhone without the phone. Based on the same OS, multi-touch UI, closed and controlled and dead easy to use app and content store (iTunes), best of class web browser (minus Flash of course), best of class PMP etc. It builds on so much before it, only Apple could produce the iPad. Not its individual parts, of course, but the sum of those parts, which are much, much greater. Who else designs the hardware, operating system, software and has a thriving eCommerce platform all completely integrated? And don’t underestimate in-app purchases. Not Google, not Microsoft or any OEM… That’s why Apple’s competitors and the media industry are shitting bricks. It’s no surprise how much Amazon has invested in its own digital content strategy but right now Apple looks to be better positioned to be the Amazon of digital. And the iPad is a huge part of this. Of course, he often dismisses a product category before unveiling Apple’s own take which “fixes” all of those problems. But on this occasion, I don’t think the iPad represents a U-turn on Jobs’ part. 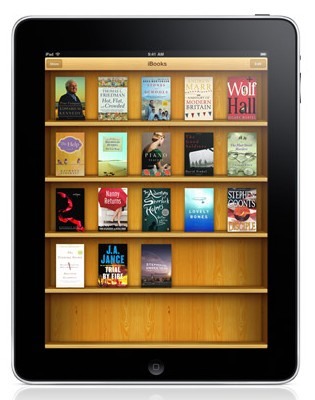 The iPad is no eReader both technically – no eInk – and conceptually. Sure you can read long form books on this device, just as you can on a smartphone or laptop, and some users will, but it’s not as suited to such a task as a dedicated eBook reader… but it doesn’t need to be to compete with devices like Amazon’s Kindle. Because for many it will be just good enough. The iPad is purely about convergence. It combines existing solutions to many existing problems in a single product tied to and built on Apple’s existing technology, design and ecosystem – the very same tech or way of thinking that solved many of those problems in the first place. Apple doesn’t go after niche markets anymore. Not under Jobs’ watch. Just like the best camera is the one that you have with you (think Nokia and Sony Ericsson’s success with camera phones, which also, err, make calls and do other stuff), the iPad is either fantastic or just good enough for many tasks in a single converged device that it will displace single purpose devices, such as the Kindle, or less well converged ones, such as Netbooks, for many tasks. The iPad is all about convergence. The iPad isn’t really a mobile device. Not in the sense that the iPhone or any decent smartphone is. It’s not, primarily, for the journey, it’s for when you’ve arrived (to borrow a line from Mad Men). In that sense, I don’t think it competes with a smartphone as much as it seems. If Apple had invented an iPhone that could, upon the press of a button, triple in size, there’d be no need for an iPad. Now, depending on what you want to get done once you’ve arrived, the iPad may or may not compete well with a laptop, the device it most closely impinges on. Perhaps the best way to describe what the iPad does best is Couch Computing, even though it’s not a computer in the traditional sense and you don’t have to be sat on the couch. 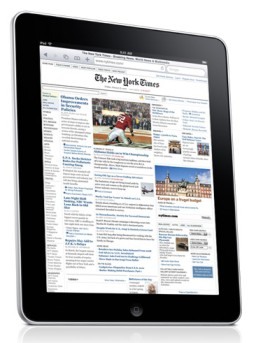 While over time it will likely influence consumer habits – think in-app purchases of content for newspapers and magazines and apps that nobody has dreamed up yet – as it stands today I think the iPad reflects a change in consumer behaviour whereby people access the Internet while doing other things. Such as checking email, looking up something on Wikipedia, reading news, Facebooking, while watching TV. Or while chatting to friends in the same room or on the phone or listening to music and texting on their mobile. Teenagers, for example, multi-task all the time, and one ‘task’ is being online. Good or bad, that’s just how it is these days. The iPad fits this model of consumer behaviour. It’s perfect for ‘casual’ anything online, while you’re doing other things. I’ve no doubt the iPad will sell really well. 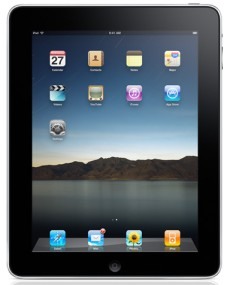 People tend to forget how well the iPod touch has done and the iPad will build on this and surpass it. Developers are going to love the iPad, both in terms of how it stimulates their imagination but also that they can make real money on the device. 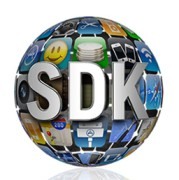 The majority of the iPhone’s 140,000 apps will already run on the iPad, albeit compromised, and it won’t be long before lots of the killer apps are rewritten for the iPad. New apps that are only possible or suddenly make sense on a bigger screen will, of course, also be written. The same way as the iPhone created the perfect storm for paid-for apps, the iPad isn’t cheap and nor will its customers be. Thanks for a well balanced and open minded review of the iPad, without all the negativity and Apple bashing the rest of the blogger world apparently seems to think is necessary with every new Apple product announcement. I wrote about some dreams of my own for productivity apps on the iPad. You can read the details on my blog at http://johnkendrickonline.com. As a life long marketer, the questions always start with, How are we solving a problem for our customer? By extending a familiar UX to the iPad, Apple's loyal customer base now has a device that many will buy to improve their content discovery and consumption using tools they are familiar and comfortable with. Apple has possibly established a market segment, but more importantly, is providing an elegant solution to its customers.